A good pair of budget binoculars should be comfortable, clear and lightweight enough to be able to carry with you in the woods or wherever you’ll need them. They should also work in low light situations and provide good magnification for your needs. When shopping for binoculars, prices can vary widely. 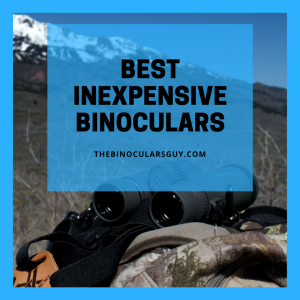 Listed below are what I consider some of the best inexpensive binoculars. They may not have all of the high-end attributes of some of the more expensive sets, but they will get the job done at a price point that won’t break the bank. The Redfield Rebel 10x41mm weighs in at just over a pound and a half, and packs a lot of usefulness in a small aluminum frame. The multicoated lenses feature BAK4 prisms providing great brightness and clarity. The eyepieces twist up and down to accommodate viewers with or without glasses. These binoculars worked great both morning and dusk as I was able to see objects rather clearly regardless of the light levels. My only complaint was that the lens covers aren’t attached to the body of the binoculars, causing me more than once to drop them. Not a huge deal once I was used to it, but something I like in other sets. The Polaris Optics WideViews 8X42 HD gave me some of the most spectacular viewing I’ve ever seen through a binocular. The zooming on these is amazing and being able to see a 430-foot arc blew my mind! These binoculars come with a nylon mesh carrying case and the body is nitrogen filled, which makes it so the lenses won’t fog up in any weather. The top has a rubberized covering aiding in grip. The only negative thing I can say about these binoculars is that zooming and focusing is a bit tricky at first with two knobs handling the job. 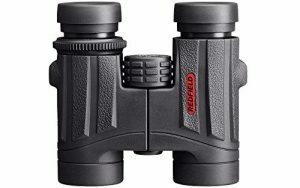 If you are hunting or bird watching, these won’t be the quickest binoculars to get you both focused and zoomed until you get accustomed to the system. are the workhorse of the bunch. They weigh a bit more than the others but aren’t uncomfortable to use at all. While the color in these isn’t quite as sharp as some of the others the clarity in this pair is easily the best of the bunch. The body is rubberized and feels very durable, the set also comes with a carrying strap. What I liked the most about this Nikon set was it worked right out of the bag. I didn’t need to adjust them, I didn’t need to read a manual on how to get the most out of them. They just worked exactly the way I needed them to as soon as I got them. In conclusion, you can spend a lot of money on a good pair of binoculars and I’m sure some professionals will say you are spending your money wisely. 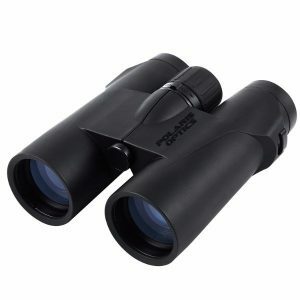 But, if you just need a good set of binoculars for hunting, watching birds, gazing at the planets or just seeing distant things up close for whatever reason any of the binoculars listed will do the job very well. 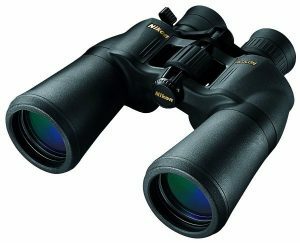 If I were to purchase only one of these sets, I’d go with the Nikon 8252 as they just seem to have everything I want in a good, inexpensive set of binoculars. But, you can’t go wrong with any of them. What do you think of our list? Is there a set you would have added instead? Let us know your thoughts in the comment section below.